The floods, later dubbed the Christmas rains, killed more than a dozen people and caused millions of dollars in infrastructural damage. 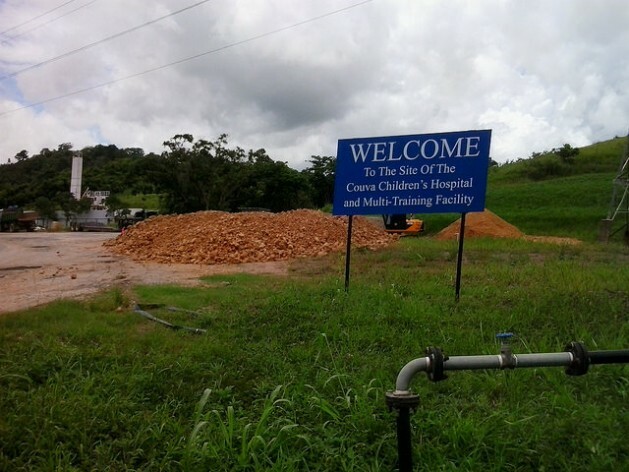 However, the Georgetown Hospital in St. Vincent weathered the natural disaster, living up to the definition of a smart hospital in that it continued to serve the community without interruption. According to a report by the UK’s Department for International Development (DFID), “More than 67% of hospitals in the Caribbean and Latin America are located in areas of higher risk of disaster. The report adds, “Building resilience of communities and critical buildings like hospitals and schools delivers better results in terms of lives saved and livelihoods protected than simply through responding to the effects of disasters or climate variability. The safe hospital initiative was launched in the Caribbean about a decade ago and has become a global standard for assessing the likelihood a hospital can remain functional in disaster situations. PAHO worked with the DFID to launch the Smart Hospital Initiative. The DFID agreed to fund the initiative from its International Climate Fund for one year, citing “building resilience to climate change and disasters [as] a central pillar” of its 2011-2015 Operational Plan for the Caribbean. Dr. Van Alphen said the Georgetown Hospital was chosen as one of two demonstration hospitals for the Smart Hospital Initiative because PAHO wanted “to convince policy makers that there are tangible measures for safety and natural disasters, there are practical measures that one can take and still see a benefit” without the costs being prohibitive. Georgetown Hospital and the Pogson Hospital in St. Kitts were chosen as the two demonstration hospitals, after surveying 38 hospitals in the region. Of the 38 surveyed, 18 per cent were found to have structural and functional issues that required urgent measures to protect the lives of patients and staff. “We took [those] two hospitals where we got support from the community and support from the government to implement the project. We wanted to do a success story,” Dr. Van Alphen said. Some 350,000 dollars was allocated to retrofit Georgetown Hospital, which had structural and functional deficiencies including an unsafe roof, no backup power supply, and no water storage system. The hospital, built in the 1980s, is a 25-bed facility in the parish of Charlotte that serves a population of almost 10,000. The work done on the hospital included the renovating of the roof, waterproofing of the windows, installation of photovoltaic solar panels to ensure an alternative power supply, and the introduction of a rainwater harvesting system. The hospital was generally refurbished and upgraded to make it a more comfortable and pleasing environment for working and convalescing. As a result of the retrofitting, there was a 60 percent reduction in energy consumption, said Dr. Van Alphen. The DFID in its “Intervention Summary: Smart Health Care Facilities in the Caribbean”, notes that “according to Environmental Protection Agency (EPA) calculations, every dollar a hospital in the United States saves on energy is equivalent to generating 20 dollars in new revenues. Since energy costs in the Caribbean are among the highest in the world, reduction in hospitals’ energy bill would free up significant resources, the DFID noted. While the community was generally happy with the upgrades — according to the results of surveys conducted before and after the retrofitting that showed a significant increase in patients’ and staff’s satisfaction levels — there remained some concerns. One of these was the community’s reluctance to accept the use of harvested rainwater. Shalini Jagnarine, a structural engineer with PAHO’s Disaster Management Unit, told IPS that that reluctance melted away with the Christmas floods. “We had the Christmas floods on Dec. 24 and the island’s water supply system was down whereas the hospital’s water supply remained functional. The community bought into it [after that],” she said. The retrofitting of St. Kitt’s Pogson Medical Centre in Sandy Point village focused on showing how small changes can make a new and otherwise safe hospital more efficient, safe and environmentally friendly. The work done included the installation of emergency exits, better access for the disabled, and upgrade of the plumbing fixtures and electrical systems.